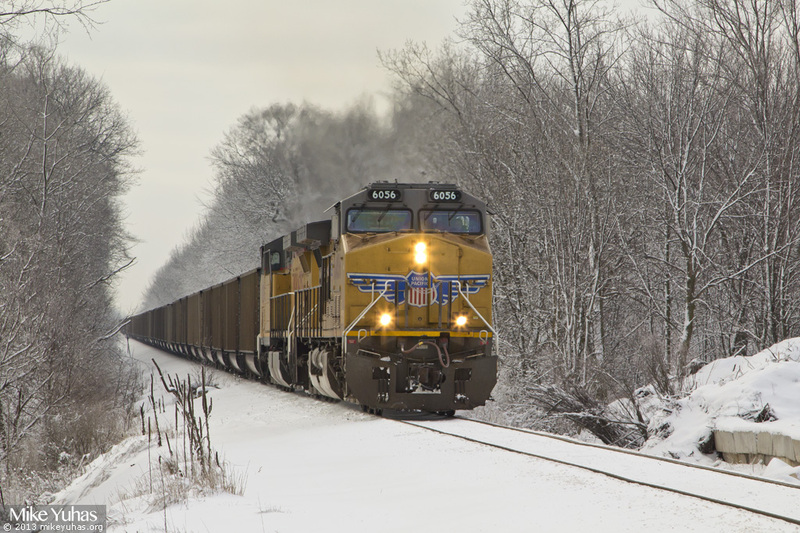 A Sheboygan coal train passes through the town of Grafton on a cloudy morning. Train is powered by two units up front, and no DPU, which is enough to handle the short, 104-car train. Coal trains on this line typically rate three units - two on the head end, and one on the rear.